Landscapes at landnám: palynological and palaeoentomological evidence from Toftanes, Faroe Islands. 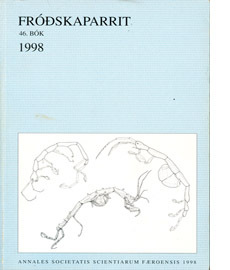 Fróðskaparrit 46. 229-244. Tórshavn 1998.